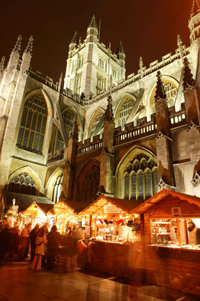 For 18 days, more than 130 quaint wooden stalls line the squares and streets surrounding the impressive Bath Abbey, selling everything you could possibly need for your festive celebrations. Gift ideas abound, including clothing, accessories, crafts and toys as well as more unusual or one-off pieces of art and jewellery. Stock up on festive foods with cheeses, pickles and meats galore, and sample wines, liqueurs and local cider to compliment your choices. Treat yourself to luxurious chocolates and puddings – or why not put together a hamper as a wonderful gift? Get well and truly into the Christmas spirit and enjoy the atmosphere of the market. The enchanting sound of carols and the tantalising aroma of sumptuous food on the air add to the ambience of the market, creating a magical experience. There is no need to rush – with the market open late most evenings, you can take your time and browse the stalls under twinkling lights, before perhaps retiring to a bar or restaurant. 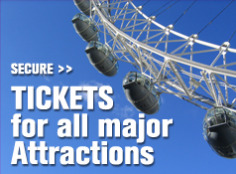 Best Value Tours offer Coach, small group and provide guided tours incuding Bath, Stonehenge, The Cotswolds and Windsor Castle. 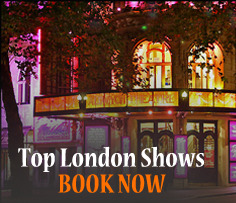 Posted on September 21, 2012, in christmas markets, Coach Trips, Sightseeing Tours, Stonehenge and Bath Tours, Travel Tips, UK Events 2012, Visit Romand Baths. Bookmark the permalink. Leave a comment.